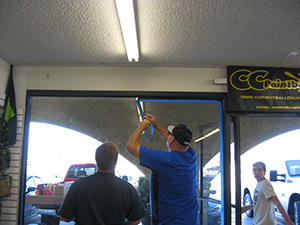 Installing window tinting is the single most cost-effective, money-saving decision building owners can make. 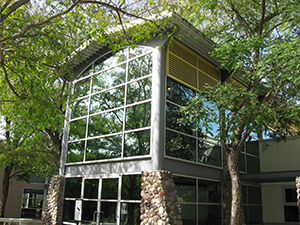 Solar control window film can eliminate above 80% of the heat energy entering a building through windows. Window film reduces the demand on the air conditioning system by blocking solar heat. It will save you money by using less energy and taking pressure off your A/C units. When your HVAC system works less, you save money on energy bills and maintenance costs. 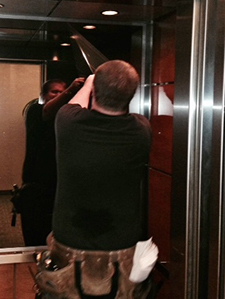 Achieving consistent interior temperatures in commercial buildings is a common problem. Interior temperature imbalances can be a source of discomfort, unhappy employees that are either hot or cold depending on where they sit. They complain to building maintenance personnel that are daily adjusting the HVAC system which leads to higher energy costs and a battle for the thermostat amongst employee. If you are a building owner or maintenance manager you are aware of hot and cold areas in the building depending on where the registers and thermostats are and where and when the sun hits the windows. Window film controls temperature difference due to solar heat gain and produces more balanced interior temperature which saves money. Graffiti vandalism is a growing problem. It is evident all around us. Property owners and managers are suffering more and more with losses from this senseless form of vandalism. Window glass, mirror, stainless steel and other costly surfaces are being destroyed daily by scratched, spray painted and etched graffiti. The best solution to fight these acts of vandalism is with clear anti-graffiti film. 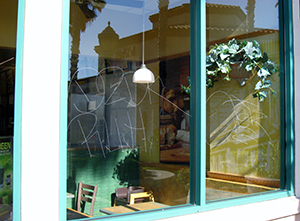 Anti-graffiti window film protects glass, metal and non-porous surfaces from acts of vandalism, unintentional damage and wear and tear. It can be quickly and easily removed and replaced giving property owners and store managers an efficient, convenient and inexpensive solution to replacing damaged glass and other costly at risk surfaces. The film is optically clear and nearly undetectable to the eye. It can be used on most flat, nonporous surfaces. Uses include: store fronts, department stores, elevator interiors and doors, schools, malls, trains, subways, buses, bus shelters, store display cases, bathroom mirrors & stalls. To learn more about anti-graffiti film, check out our website TagBan.com or call 909-231-9398. Estimates are free. 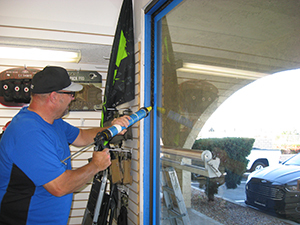 Commercial buildings and store owners can benefit greatly from the addition of safety and security film. Safety films make it much harder to break glass. 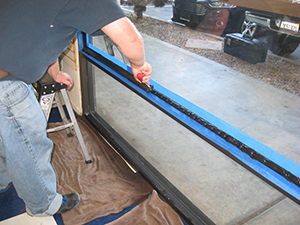 The film bonds to glass and prevents glass from scattering in the event it does break. When applied to glass these films protect people and property from the hazards of broken glass. Security film is used to prevent break-ins through glass where safety film alone, without a security attachment system, is designed to protect people from glass related injury. 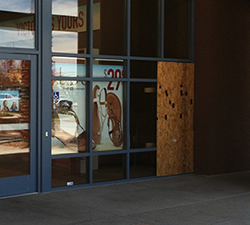 Both reduce the danger linked to broken glass injuries to employees, customers, or passers-by, but security film adds the additional protection of safeguarding assets when criminals target your business for break-in. We owe it to our customers and clients to protect their personal information and we owe it to ourselves to protect our assets. A burglary occurs approximately every 15 seconds in the United States. Recovery of stolen goods is very poor. Besides cars, which are recovered 56% overall, recovery of all other goods is around 6% with office equipment at 6%, money and jewelry at 3% and 4% respectfully. A computer, office equipment, business information and other valuable property that gets stolen isn’t typically found and returned. The loss of property and potentially valuable data is an enormous expense. The loss of productivity that goes with it compounds the problem. If you get robbed odds are you will never see your things again. The cost is much greater than the property loss alone when you calculate downtime and recovery as part of the equation. Security film is cheap insurance that doesn’t require an annual premiums, monthly service contracts or maintenance. Security film reduces the risk of loss from break-ins by reinforcing the glass and holding it securely to the frame. When a would-be thief breaks a window secured with safety film and an attachment system the broken window is held securely in the frame. The films adhesive holds the glass to the film and the attachment system holds the film and broken glass in the frame. With security film on your store, office or home you can prevent loss associated with break-in. You may never need security film, but we all want peace of mind. Peace of mind comes free with your security film. If it ever serves its purpose and stops a break-in you will be ecstatic knowing your wise decision prevented potentially greater loss. Most people would agree that a few hundred dollars for a window is better than thousands of dollars in property loss, downtime and the violated feeling that come with being robbed. Smash and grab robbery is a growing crime and a good reason to consider installing security film. Research shows video surveillance provides a negligible deterrent effect and cameras don’t significantly aid in catching thieves. Video surveillance brings with it ongoing costs. The same goes for alarm systems. Neither one will prevent a crime or get your property back. Alarm systems don’t stop intruders nor guarantee quick response times from police. They may have an impact on the amount of your loss if the sound of the alarm rushes the thief. Alarms may rush them, but it is better to prevent intruders from gaining access to your property. You can do that with security film. Intentional damage isn’t the only way a window can be broken; Natural disasters and terrorist attacks can destroy a window and expose your building to property damage, invasion and loss. If a window is broken after hours your property and merchandize can be exposed to the elements or thieves for long enough to cause significant loss. Safety and security film are cheap insurance and wise stewardship of your resources. In addition to reducing glare, heat and protecting assets, window film will improve the overall aesthetic look of your building It gives buildings a sleek updated appearance. With a variety of film colors and shades you can find a film for your retail or commercial building to enhance its exterior appearance. It’s smart business to create the best possible work environment for employees. The sun can cause problems in your effort to create a comfortable work place. Excessive heat, glare, temperature imbalances can create an uncomfortable interior environment, make for unhappy workers and increase energy usage and the burden on your HVAC system. 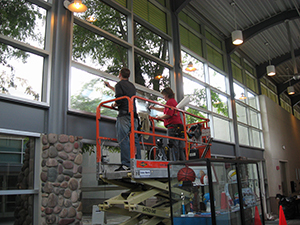 Installing solar control window film will create a more comfortable and pleasant work place. It can increase employee productivity and improve the bottom line by lowering operating expenses and utility costs.